Achilles tendonitis or tendinopathy are both technical medical terms, meaning you have swelling in your Achilles tendon. This tendon is found just above the heel. The tendon becomes swollen, sometimes warm to the touch, with the pain radiating up the back of the calf muscle. A person who has Achilles tendonitis knows it because the pain can be debilitating. The simple act of walking hurts, making the tendon further inflamed and swollen with each step. Ignoring the pain and not doing anything to correct the pain can be the basis of more problems in the future, including rupture of the tendon or changes in the tendon itself. The Achilles tendon runs from the back of the heel bone up to the muscles in the calf though when most people think of the tendon they think of it as being only at the heel. Because this tendon is moved with every stride, the tendon is contracted and stretched with each stride a person takes. Striding too fast, too hard, or without care makes it easy to damage this tendon, stressing and over-stretching it. Wearing shoes that do not allow the foot to stay in a neutral position, then stressing the tendon makes the problem worse! The way to prevent the Achilles tendon from rupture is to rest it as soon as it becomes inflamed. 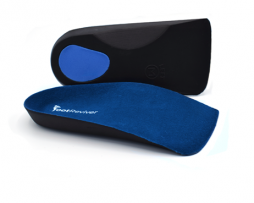 Resting the affected foot using a combination of stopping the action such as jogging that caused the problem, and using arch support insoles to help bring the foot back into a neutral position. 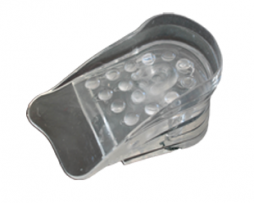 The neutral position allows the foot to relax into a more natural state, taking the pressure off the tendon. It is very important to pay close attention to the feet as we age because the aging process reduces the amount of padding in our feet. 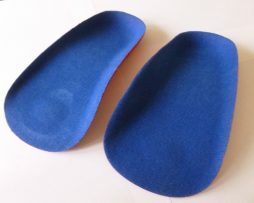 The reduction of padding can cause us to change our stride patterns, increasing the chances of injury. In addition, we can easily become unsteady on our feet as we age, this unsteadiness increases our chance of falls, and makes us more likely to misstep. A simple misstep can cause a tendon strain. 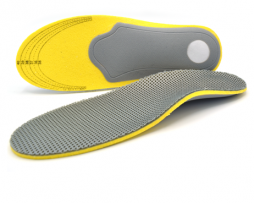 A pair of arch support insoles allow the feet to relax into a more natural state, helping to reduce the pain, inflammation and unnatural strain on the tendon. The longer a person denies there is a problem, trying to push through the pain, the longer they will remain in pain. 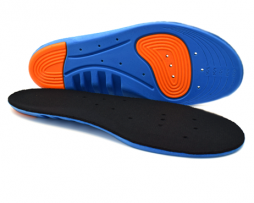 By using orthotic arch support insoles that properly support the foot as soon as the problem is noted, the person helps reduce the chances of tendon tear or rupture.